Welcome to the exciting world of DApps. You’ve likely heard the term – perhaps in relation to Ethereum or the Golem super computer – but maybe you’re wondering what these technologies are, and you'd like to see good examples of DApps. In this article, we'll provide an overview of DApps, give some examples and look at benefits to the blockchain community and the broader digital marketplace. Blockchain networks allow users to execute transactions without the involvement of a third party (like a bank). 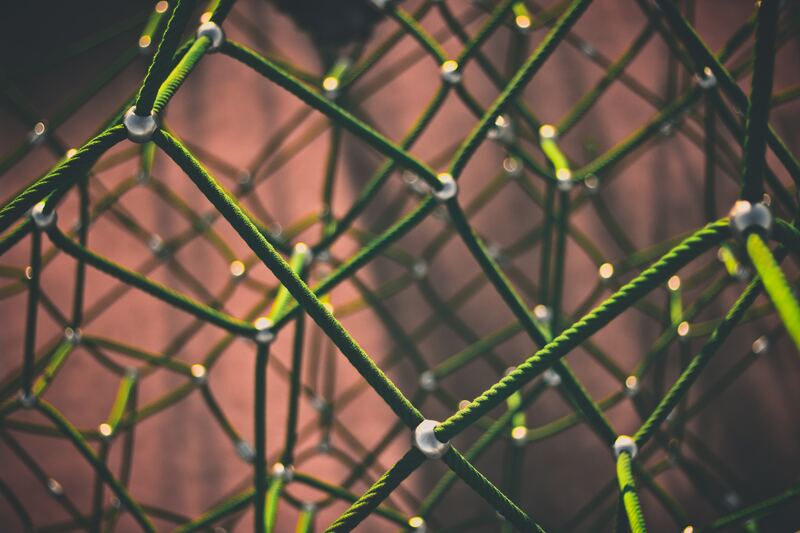 These elements of blockchain networks enable secure, peer-to-peer transactions. DApps implement some of these same principles and they, too, aim to provide secure user interaction over a blockchain network. DApp is short for decentralized application. A DApp is basically an app on the blockchain. To understand what DApps are, it’s important first to understand a bit about traditional centralized applications (apps). The most common apps people use are centralized. Despite the fact that there might be multiple users interfacing with the backend of the app, a single, centralized entity owns and runs it. That owner oversees the app and has ultimate authority over it, its functionality and the data on it. One of the key issues with centralized applications is the ownership of data. Take Facebook as an example. With Facebook, users upload their own content – data – to the application, and the interactions they make on the application – liking a post, clicking on an advertisement – become additional data collected by that application. Once that data is provided to Facebook, Facebook owns it. What does Facebook do with that data? It sells it to companies that want to advertise to individual users. So, the original owner of the data – the user – loses ownership of that data once he or she submits it to the centralized application. Along with owning data, the central authority has full ownership of the application. This authority can delete or erase any public-facing content posted to the application. Facebook, Twitter, YouTube can all be censored. Here's where DApps come in. DApps give ownership of data back to the users. These applications remove the role of the central authority. Instead, the data belongs to the user. Decentralized applications are specific to blockchain networks. They can only run on the decentralized network of the blockchain. Open source: The application's code must be available for public scrutiny. The application should be governed by autonomy, with any changes to the protocol decided by consensus. Decentralized: The application must function on a decentralized blockchain network, which allows for data to be cryptographically stored and distributed in the decentralized ledger, enabling every user on the network to see it. Incentive: Like blockchain, the application must use and provide specific tokens or digital assets to users on the network to reward them for validating blocks on the chain. Protocol: The application must run on a protocol, and the community needs to agree on a cryptographic algorithm to show proof of value—such as Proof-of-Work (PoS) or Proof-of-Stake (PoW). If we assess an application by the above characteristics, Bitcoin was the technically first DApp. Bitcoin provided a blockchain network for enabling decentralized transactions between individuals. However, although Bitcoin can be considered the first DApp, the blockchain network that is most closely associated with DApps is Ethereum. The original Ethereum whitepaper stated an intention to create a protocol for building decentralized applications. DApps running on the Ethereum network could reduce development time, increase security and improve scalability. Ethereum has its own development language – Solidity – and the network allows users to create smart contracts, which are self-executing digital versions of contracts with specific guidelines built into the code. Ethereum has given birth to the most-well known DApps, some of which have achieved millions of dollars in market cap, such as Golem, Augur, Melonport and EtherTweet. Golem is an open source, decentralized supercomputer that anyone in the world can access. The power of Golem results from the combined energy of all the computers that power it. Because of this immense computational power, users can rent out their computing power to other users, which means the network could essentially create a global market for computing power. Augur is a DApp that aims to create a forecasting tool to improve trading gains. It would do this by combining prediction markets with a decentralized network. Melonport is a DApp that assists with digital asset management. Using the application’s technology, people can establish or invest in digital asset management strategies in an open and competitive way. The application enables an auditable and visible track record, which allows an entirely new approach to asset management. EtherTweet is a decentralized blogging platform similar to Twitter. But because EtherTweet is a DApp, content posted to it cannot be deleted. This makes it an uncensored, unchangeable record of content publication via blockchain technology. As the occurrence and threat of network hacks have become more frequent and prominent in recent years, vulnerability of user data to such hacks has become prevalent. The importance of individual ownership and management of data is a growing concern in both the digital marketplace and broader society. In addition, the need for an unedited log of digital dialogue has become increasingly important. DApps offer a technology where publication of content would remain unchanged, available for all to see, owned by the original owner and unable to be purchased by a centralized organization. As a result of this, DApps are also secure. The data cannot be tampered with. Furthermore, DApps are inherently related to cryptocurrency, which can stimulate interest and activity and provide a means through which content creators can be rewarded. In addition, use of the technology in applications like Golem and Augur offers new ways for people all over the world to interact. As cryptocurrency continues to evolve DApps and their benefits will take an increasingly important role both within the cryptocurrency community and to the broader public. There's a lot of innovation happening within the blockchain space and DApps are at the forefront.